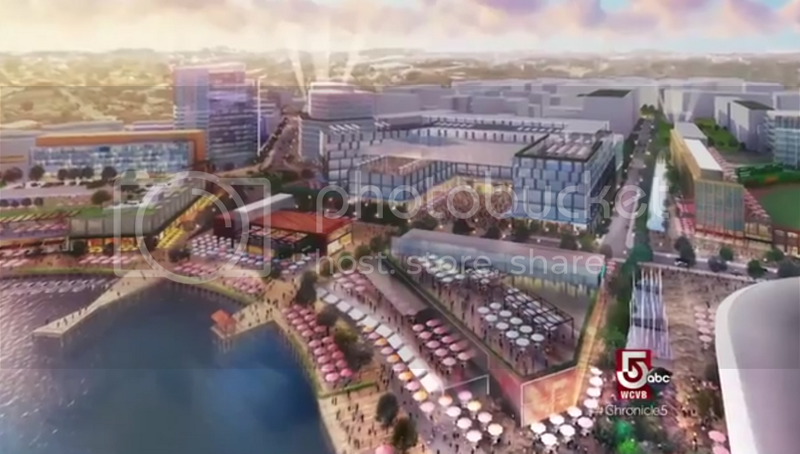 BOSTON - State officials and members of the state’s congressional delegation say the Navy has reached a final agreement to sell the former Naval Air Station in South Weymouth for $25 million. . Negotiations over the future of the property have dragged on since it was closed by the Pentagon in 1995. 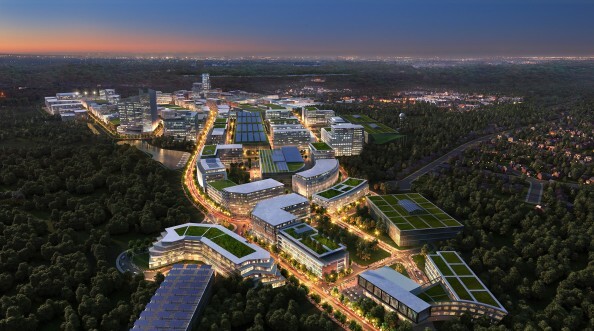 Tri-Town has selected LNR Property to develop the Southfield site, which is slated for completion in 2017. Plans call for construction of nearly 3,000 homes along with retail and business space. If you are going to post copy from another site, especially a newspaper, provide a link. Is a film studio still planned for part of this property? Or did it move to Plymouth? There seems to be work already going on at the air base. Not sure it it's cleanup, demolition, or something else. When complete, the entire Tri-Town base revitalization is expected to include 3,000 homes and 2 million square feet of office and retail space...."
First homes went up for sale in July I believe. People should be living there already I would hope. Also pretty sure there is an existing thread for this, but it might be the movie studio stuff. I very much find it funny that land taken by the government, whether by eminent domain or otherwise, needs to be sold back for 25 million bucks. Clean up your mess and give the land back. This development has always bothered me as I grew up in Rockland. The air base effectively cut off Union Street between Rockland and Weymouth. Union Street is the main artery of business in Rockland and has gone through a steep decline, thanks in no small part to the northern end of it now being a dead end. But, the people who were pissed 70 years ago when Union St. became a dead end are long gone and have been replaced with folks who like their quiet dead end, kid friendly, neighborhood, and have put the stops to any reconnection of the 2 towns via. this historical north/south connector. Suburban NIMBY's. Not to say this would save downtown, but it would certainly help. They of course, just like at Copley, complain about an increase in traffic. Although this one would be actual instead of make believe. Both straddle several towns and probably involved hundreds of purchases over about 50 years including taking of town roads, etc. There's a whole thread on this already. As said, there is some residential already built. There was a road fully landscaped with irrigation and street lights a year before anything. The golf course seems to be on hold if not in doubt and I haven't heard a word about the movie studio. I know Southfield has already made at least a couple payments to the tri town council with more to come based off of building or income. I apologize if this has already been discussed in another thread or if this article doesn't really bring any new info to the table. Prodrive Technologies has signed on to build 300,000 sq.ft. complex over then next couple years. They were given the land for free in order to "prime the pump" for future developments. Anyone have any more/better insights into this? It will be interesting to watch this one unfold and see what actually gets built. Meh. It's Westwood Landing redux until proven otherwise by knocking our socks off. It just gives off the same vibe as all those fantastical renders of WL from 7-8 years ago: a prelude to the great lowering of expectations. I dunno...maybe they'll be different, but I'm just naturally skeptical of taking this place's chances on-spec based on the depressingly familiar trajectory it's followed from the start. Weymouth's in similar boat as Westwood at having a lot of growing up to do about being able to move on from big-box & mall highway sprawl mentality amongst the local hands steering the ship, and the numerous false starts here don't build much confidence that this isn't going to meet the same half-baked fate. I mean...the Plymouth Line isn't exactly a world-beater on frequencies compared to 128 Station which didn't exactly end up informing WL's decisions on sticking to the faux-density plan. South Weymouth station's a 550-space parking sink on Route 18...the single-largest lot of any Old Colony intermediate stop, behind only the big Kingston/Middleboro/Greenbush terminal stations. And not particularly near the highway despite that enormous parking capacity. It's a full mile's walk down the access road from platform to the center of this development where most of the major action is supposed to be. There's no bus routes whatsoever within 2 miles of here, and no full-frequency buses for 3 miles because the 225 to Columbian Sq. shorts out at Lincoln Sq./Weymouth Landing 2 out of every 3 weekday frequencies. And Bill Delahunt Pkwy. ( ), the so-called "main street" of this shindig, is an utterly senseless 4-lane superhighway. I'll dare to be surprised, but this just gives off an all-world "fool me once / fool me twice" odor the way it's evolving on-the-ground vs. in the latest set of fantastical renders. Last edited by F-Line to Dudley; 10-13-2016 at 11:53 PM. That's a lot of umbrellas. They're putting a significant amount of faith in the views across their artificial lake . Yup. .5 umbrellas per resident. Don't worry, they will fix that in the VE stage. Those will become waterfront parking spaces. Shooting for baseball AND lacrosse teams, I see. I'll bet the marijuana dispensary will be located at 420 Bill Delahunt Parkway.